Refresh Gentle Cleanser: This cleansing formula, rich in botanicals and protective antioxidants, creates a gentle cloud of pearlescent lather that thoroughly foams away oil, debris and makeup without excessive rubbing. 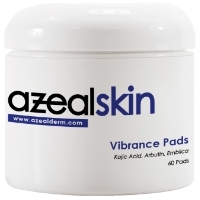 Vibrance Pads: This skin tone enhancement kit contains botanical skin brighteners including kojic acid, arbutin and bearberry in an alcohol and acetone-free base. 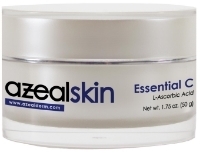 Contains green tea and other soothing antioxidants in a convenient pad application. 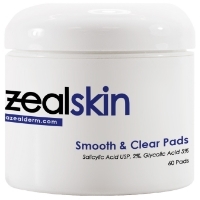 Smooth and Clear Pads: Salicylic acid USP, and glycolic acid are used in combination with hydrating ingredients in these easy-to-use pads to promote exfoliation, control oil, reduce breakouts and clogged pores. They help enhance skin clarity and are pH balanced. Essential C: Our lightweight, silky vitamin C cream contains stable L-ascorbic acid at therapeutically effective concentrations formulated to achieve smoother, more radiant skin. 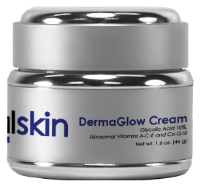 DermaGlow Cream: This hydrating cream uses the power of glycolic acid to smooth the skin. A rich pairing of ultra-pure crystalline glycolic acid and antioxidants. Sold in strengths of 10, 15, and 20%. Elegance Antioxidant Cream: Our Triple Antioxidant Cream combines the power of 90% green tea polyphenols, caffeine USP, and resveratrol to give our patients unprecedented antioxidant protection. This formulation visibly reduces the signs of redness and inflammation, reduces the appearance of fine lines and wrinkles and is moisture enhanced with hyaluronic acid. Resveratrol is a naturally occurring antioxidant found in red grapes while caffeine is used to enhance the antioxidant properties of the cream as a whole. Acne Wash: This wash thoroughly cleanses acne-prone skin with a special soap-free cleanser and is fortified with benzoyl peroxide USP, 10% for anti-bacterial protection. Serenity Mask: This mask provides an effective way to clean and tighten pores while absorbing excess oils and helping to dry up blackheads. Scalp Therapy: This medicated shampoo controls common scaling disorders of the scalp, notably dandruff and seborrheic dermatitis.